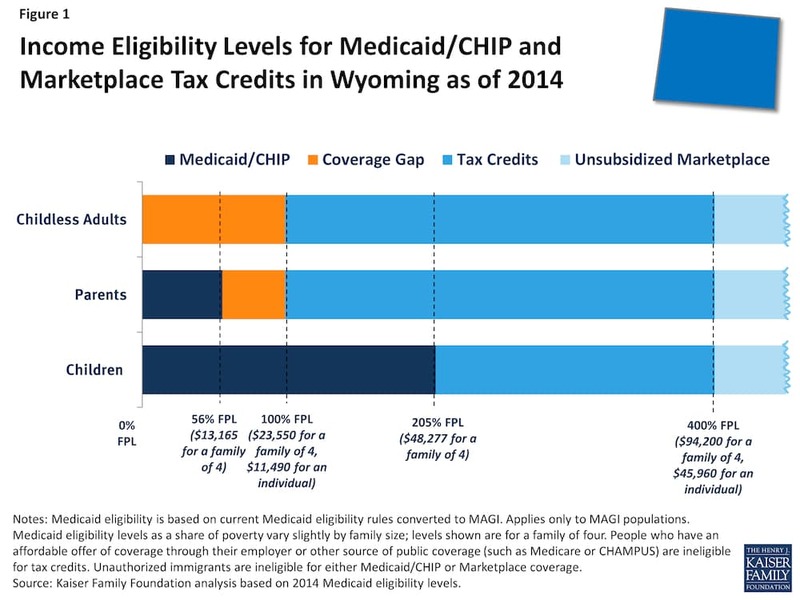 Four years into his term as Wyoming governor, Matt Mead (R) has endorsed a plan to expand Medicaid to cover an estimated 17,600 uninsured adults in the state. The SHARE Plan would provide Medicaid coverage to those in the so-called “Medicaid Gap” who make less than 100 percent of the poverty level and thus do not qualify for insurance subsidies on Healthcare.gov. In exchange, the state’s plan would require patients to make a small copayment for services, take wellness evaluations, and provide access to workforce training and placement programs. Those conditions are not a part of the federal government’s standard expansion proposal, but they are aimed at demanding some accountability among recipients. Adults who make between 100 percent and 138 percent of the poverty level would pay a $20 to $50 premium each month for similar coverage. The plan comes after years of study and numerous votes by the state Legislature to reject Medicaid expansion — actions that matched Gov. Mead’s prior opposition to expansion. Preceding that, Gov. 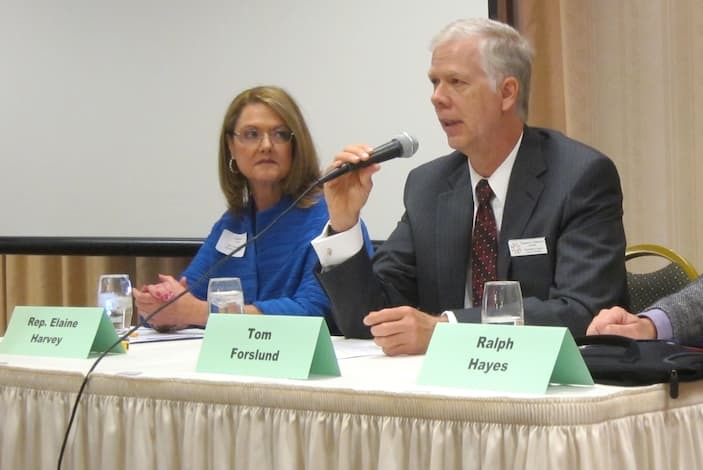 Mead joined a lawsuit seeking to overturn the Affordable Care Act in its entirety. 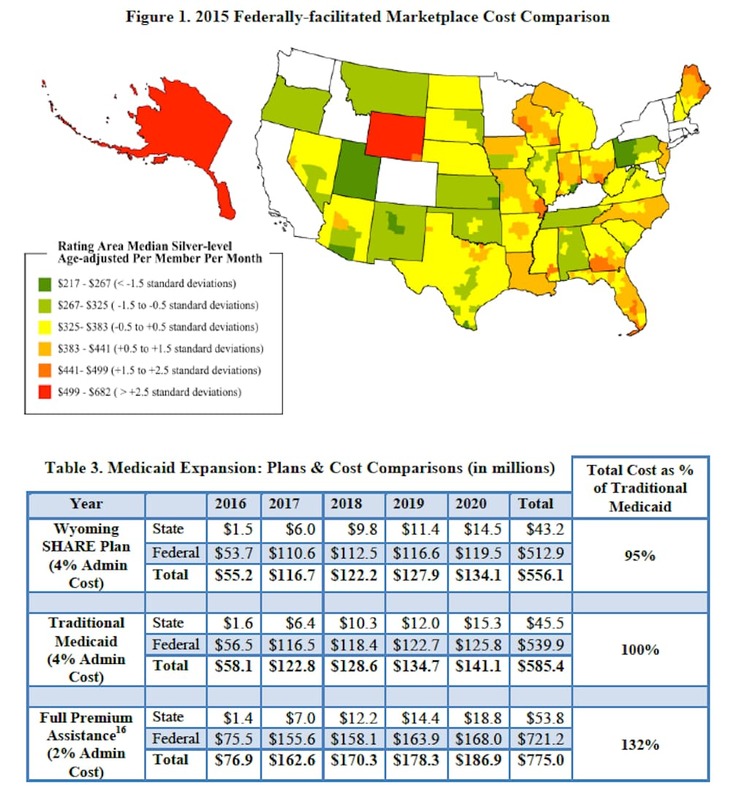 Efforts to delay implementation of the ACA and resist Medicaid expansion have cost Wyoming $106 million in federal money in 2014 that would have provided additional Medicaid coverage to low-income adults, one estimate says. Sen. Charlie Scott (R-Casper), one of the key architects of Wyoming’s health care policy and an opponent of “traditional” Medicaid expansion, agrees that it’s time to act. “We need to do something because there are people in this population that are hurting,” Scott said. However, his plan for action involves replacing the SHARE plan with an alternative plan he’s helped design. Lawmakers such as Scott opposed expansion in part because they disagreed with the Affordable Care Act, and distrust that the federal government will uphold its fiscal commitment to support the expanded program. As the Legislature prepares to convene in January for its general session, those same arguments against Medicaid expansion remain, even as Mead supports the SHARE Plan. Mead believes the federal government has become more flexible in the types of Medicaid expansion programs they are willing to approve. That’s true, says Joan Alker of the Georgetown Health Policy Institute Center for Children and Families. At the same time, Alker believes Wyoming could have proposed it’s SHARE plan in 2012 and gotten a favorable response to its proposal for cost-sharing of premiums and copayments. Such elements had been part of state Medicaid agreements since before 2012. “In general since the (2012) Supreme Court decision they are very interested in getting to ‘yes,’ so they have tried to be quite flexible and work with the states on new approaches to cost-sharing,” she said. In addition to premiums and copayments, Wyoming’s proposed SHARE plan would include case management and voluntary work training and assistance, without attempting a strict work requirement that the Center for Medicaid Services has found unacceptable in other states. 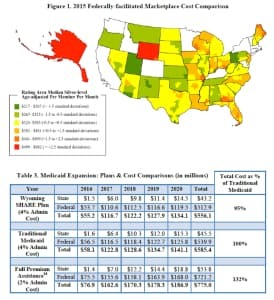 The Wyoming Department of Health emphatically supports Medicaid expansion, calling it “the right course of action for Wyoming.” It further states that, “The SHARE Plan is the best deal for Wyoming.” The department expects the plan to be cost-neutral to state spending by shifting federal money away from existing programs that would no longer be needed under expanded Medicaid. 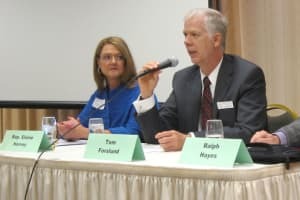 “The Economic Analysis Division of the state of Wyoming has taken a look at the impact of the injection of $100 to $120 million in new federal funding into the state, and they project that approximately 800 new jobs could be created as a result of the expansion,” Department of Health Director Tom Forslund said. The Department of Health plans to work cooperatively with the Legislature no matter what course it chooses to pursue for Medicaid expansion, department spokeswoman Kim Deti said. Some national observers of the Medicaid expansion commended the SHARE Plan’s design. Others with the pro-expansion organization in Georgetown predicted that if the SHARE Plan were passed by the Wyoming Legislature, it could gain quick approval from CMS. 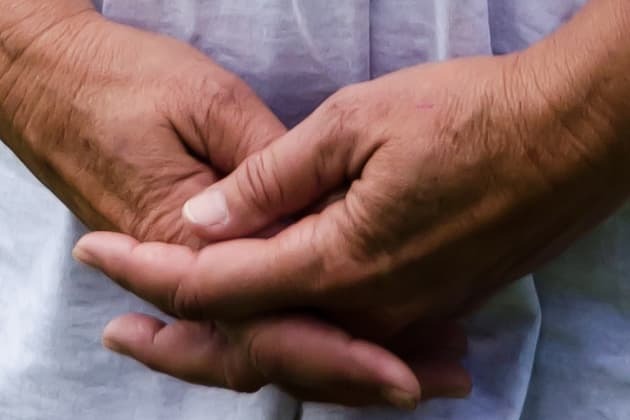 “As is in vogue with this round of Medicaid expansion proposals, this one will require a Section 1115 Medicaid waiver,” said Joan Alker, director of the Georgetown institute. 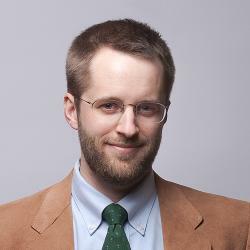 “But unlike some recent submissions, Wyoming’s proposal looks to me to be very much in the ballpark for what federal CMS is likely to approve – though, as always, some details would need to be worked out.” For example, the state would need approval of a Section 1115 Medicaid Demonstration Waiver. If observers are correct that the SHARE plan contains no “poison pill” provisions that would cause CMS to reject it outright, it’s a strong sign that Gov. Mead and the Department of Health want the expansion to go forward. However, the chance of the SHARE plan passing the Legislature remains in question. 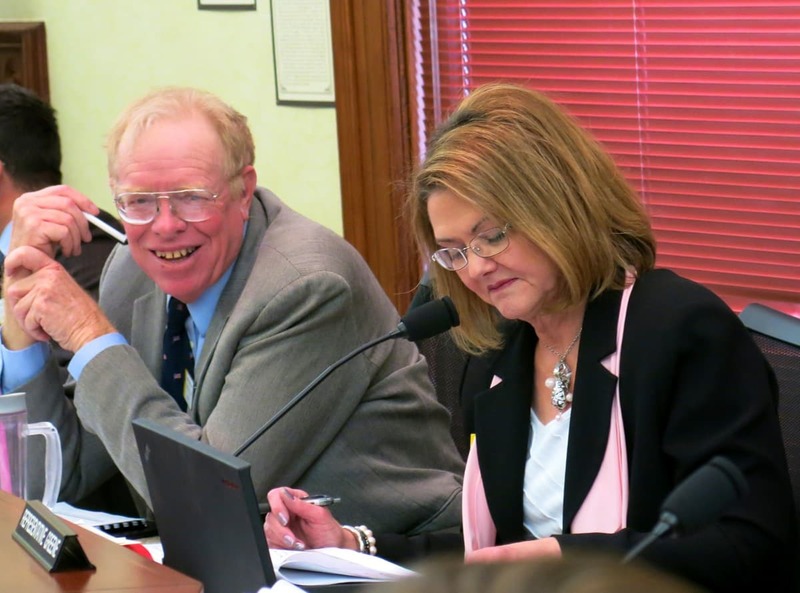 A bill draft released this morning will put the SHARE plan before the Joint Labor, Health, and Social Services Interim Committee, which meets Dec. 15-16 in Cheyenne. (See the meeting agenda here.) Gov. Mead’s favored plan stands a better chance of passing if a version of it comes from that committee. Perhaps the most outspoken opponent of the SHARE Plan is Sen. Scott, the rancher and veteran lawmaker who co-chairs the Labor committee. In July, Scott said he would only support Medicaid expansion if it included provisions for health savings accounts, similar to a program in Indiana. In earlier discussions of a potential Medicaid expansion Scott said he would insist on a work requirement, but he has since indicated he has withdrawn that idea. Scott has made clear he won’t vote to move the SHARE plan forward, though he might use components of the plan. Instead, Scott supports an alternative plan, which is outlined in a draft bill that was released to the public this morning. The draft bill would create a Medicaid expansion program that limits recipients’ usage with a set amount of money in health savings accounts (HSAs). Scott says that would encourage patients to budget their money, and provide the state with a way to keep costs under control. The HSA draft bill includes enrollment in workforce placement programs for patients, but makes no requirement that they have a job. Scott said he believes some members of the Labor committee support expansion using health savings accounts, while some support the SHARE plan. He expects other committee members will oppose anything connected to the Affordable Care Act and vote “no” on every proposal. Overall, he predicts a pure version of the SHARE plan would be unable to pass the full Legislature. “I don’t think I could sell that to the rest of the legislature if I wanted to,” he said. If Scott’s alternative draft bill backing health savings accounts passes the Labor committee, he’s not sure it would pass the legislature either. Rep. Elaine Harvey (R-Lovell), is reluctant to take a position on the SHARE plan, even though she is interested in the draft bill that would use health savings accounts, which the SHARE plan does not currently include. The federal government is wary of HSAs and hasn’t approved any as part of a Medicaid expansion. Despite doubts among legislative leaders, support for Medicaid expansion has increased among Wyoming’s residents. 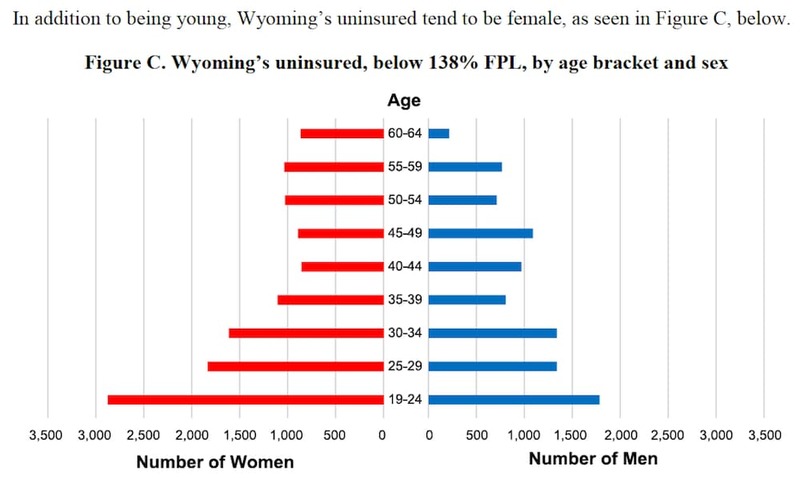 A recent University of Wyoming poll found that while 70 percent of Wyomingites disapprove of the Affordable Care Act, 55 percent agree with expanding Medicaid. The release of the SHARE plan bill puts the proposal in the hands of lawmakers, and specifically before the Labor Committee chaired by Scott and Harvey. The Department of Health cannot lobby for the plan, though it can provide information. It is unclear how far Gov. Mead is willing to exercise his clout to support the SHARE plan, particularly after his statements that he is open to alternate Medicaid plans created by lawmakers. That leaves outside lobbyists and think tanks as the loudest groups supporting and opposing the SHARE plan. It’s uncertain how much sway these groups will have. The Florida-based Foundation for Government Accountability, a conservative think tank, has launched a public relations campaign opposing Medicaid expansion in Wyoming. The group is hoping to fortify the positions of legislators who oppose Medicaid expansion, many of whom ran on that position in the 2014 elections. It’s possible lawmakers could be receptive to Department of Health assertions that the plan would be cost-neutral to state revenue, generate some 800 jobs, provide coverage to 17,600 people, and add millions of dollars to Wyoming’s economy. The Wyoming Hospital Association estimates that its members see about $200 million in uncompensated care annually, mostly from treating those who do not have health insurance. That cost is shifted to those who do have insurance or can pay cash. Expanding Medicaid would significantly reduce the amount of uncompensated care, and potentially lower the cost of health care for those with insurance. Hilton’s group is interested in seeing Medicaid expansion implemented, whether that plan resembles the Healthy Indiana or the SHARE Plan, or something else, he said. Supporters and opponents, along with legislators and the governor, seem better informed about Medicaid expansion than they were a few years ago. Elected officials are primed for another round of debate, while some of Wyoming’s poorest residents wait for a resolution that would provide a reliable way to pay for their health care. Federal regulators are also waiting to see what Wyoming does. “Whether it is Healthy Indiana or take care Utah or SHARE in Wyoming, we are very eager to speak with the folks in Wyoming about what they would propose,” said Mike Fierberg, spokesman for the Denver Region Office of the Center for Medicaid and Medicare Services. He noted that any actual negotiations would take place with the CMS headquarters in Baltimore. Update: This story has been updated from a previous version to reflect the release of draft bills for the SHARE Plan and the alternate expansion plan. See below for text of the bills. No anonymous comments. To be considered for publication, each comment must be accompanied by the writer’s first name, last name, and city of residence. This identifying information will be published with the comment. You may request an exemption from the editor if there is a reasonable expectation that by associating your name with your comment you may face undue retribution (email editor@wyofile.com). Another outstanding, well researched article from Wyofile – congratulations. Our governor has grudgingly been drug, kicking and screaming, into a position that is good for the people of Wyoming. One day Mead will realize that the ACA is not the devil re-incarnated but rather a step in the right direction to provide a systematic approach to health care that will improve quality and reduce, or at least control, cost.